Let’s make sure every child has a magical Christmas! This holiday season, simply drop off a new, unwrapped toy for Toys for Tots to any of the 11 Basil Family Dealership locations. While you’re there enter the 12 Days of Basil! 12 lucky winners will be chosen from December 7-18th. Help us meet our goal of collecting 5,000 toys this Christmas… and who knows? you might get a little treat in return! Winners will be announced every day starting December 7th! 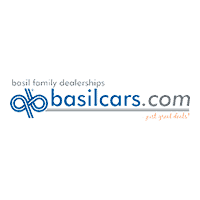 Basil Family Dealerships	, .